Estate Planning Attorney in New York | Daniel J. Reiter, Esq. Estate planning is a process whereby an individual takes steps to ensure a smoother transition when life’s most difficult events occur. Estate planning focuses on planning for death, incapacity, protecting assets, and minimizing taxes. 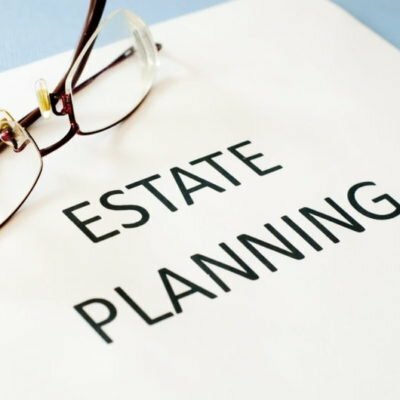 Estate planning is gift one gives to their loved ones and themselves to avoid the chaos that can ensue if a solid estate plan is not in place. A Last Will & Testament is a document that directs how a person’s property will be disposed of at death (among other things). A Will is a document that should be drafted with great care. To be valid in New York, a will must be executed according to very specific statutory standards. Although a Will “speaks at death”, it does not, generally, speak immediately at death. In New York, a Will does not go into effect until it is “probated” (the latin word for “prove”). The named Executor in the Will files the Will in the New York Surrogate’s Court with a Petition, and often other documents. A Will can do a lot more than just direct who gets the decedent’s property. A Will can name a Guardian for minor children (although a Designation of Standby Guardian is usually an appropriate companion document), instruct how the decedent’s remains should be disposed of, and even prolong the disposition of property with “testamentary” trusts. A trust is a legal relationship where property is held by one party (the “trustee”) for the benefit of another party (“the beneficiary”). In New York, the trustee and beneficiary can often be the same person, which means a trust can be used avoid probate, which, in turn, means the trust creator can leave property to their loved ones at death and avoid the time consuming and costly process of probate of a Will and administration of an estate. Trusts can also be used to avoid estate taxes, protect assets, and qualify for medicaid, among other things. Trusts are not the only instrument that can be employed to avoid probate. If a financial account names a beneficiary (e.g., “payable on death” or “transfer on death”), that designation supersedes the provisions in the Will (with exceptions), which will avoid probate for that account. A Durable Power of Attorney is a document created by an adult (the “principal”) to another adult, (known as an “agent”), to make financial decisions and to control resources on behalf of the principal in the event the principal becomes incapacitated and unable to manage his or her property. A Power of Attorney should almost always be prepared with the assistance of counsel. It is a powerful document that can be subject to abuse if not planned for carefully. Daniel J. Reiter, Esq.’s article on avoiding guardianship with powers of attorney is published in the Elder and Special Needs Law Journal. A Health Care Proxy is a document created by an adult (the “principal”) to another adult, (known as a “health care agent”), to make health care decisions on behalf of the principal in the event the principal becomes mentally incapacitated and unable to make health care decisions. Once the Health Care Proxy takes effect, the health care agent will also have access to protected, private health information. If one loses capacity, but does not have a Health Care Proxy, a family member or friend will be designated as the health care “surrogate” pursuant to statute. A Living Will is a written statement that makes one’s wishes regarding medical treatment known to his or her health care agent or health care surrogate. The statement is to be followed by the agent or surrogate if a patient is unable to provide instructions at the time a medical decision needs to be made. Living Wills typically provide instructions regarding end of life decision making. A document called a Designation of Standby Guardian allows parents of minor children to choose who will serve as guardian(s) of the person and property of their children in the event both parents cannot act due to death, incapacity, or otherwise. The Designation of Standby Guardian allows for a much smoother transition than a Will. If the Will names the guardian, the Will still needs to be probated before it is valid, which means the named guardian will not be able to act immediately upon death of the parent(s). Moreover, a Will cannot determine who should serve as guardian in the event of incapacity because a Will only speaks at death. But with a Designation of Standby Guardian, the guardian can act immediately upon death, and almost immediately upon incapacity. The named guardian will have 60 days to petition a Judge to be appointed as permanent guardian. Non-U.S. citizens, who are not legal “residents” of the U.S., often must take into account special considerations when planning their estates. For example, the estate tax exemption for “nonresident aliens” is a mere $60,000. Simply put, a nonresident alien with property located in the U.S. will have a taxable estate if such property exceeds $60,000 in value. If you or a person in your life is in need of Estate Planning, you are encouraged to contact Daniel J. Reiter, Esq. at 646-820-4011 or djr@djrattorney.com.